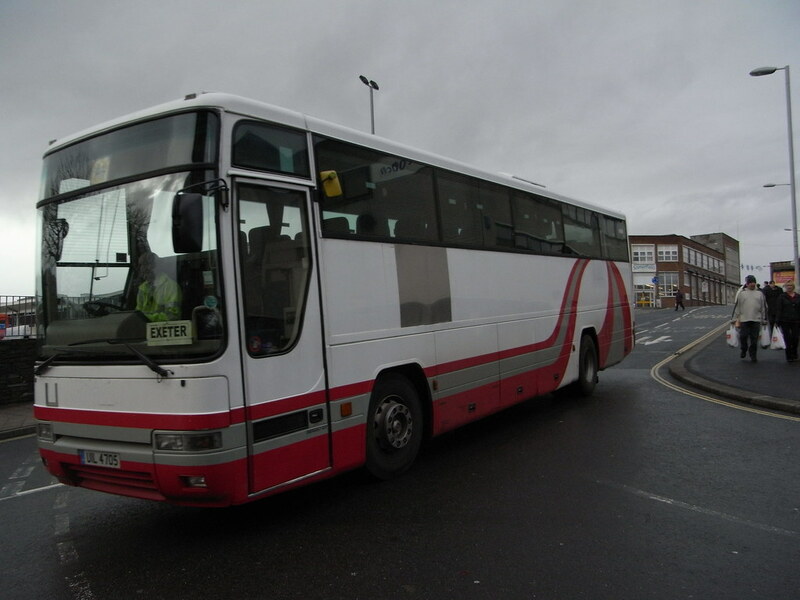 Still looking very much like a Citycoach, L302YOD was actually sold to Hookways earlier this year. When the council announced that they were looking into a possible sale of Citybus, many people feared the worst for the Citycoach side of the business. Especially when Stagecoach seemed to be the front runner to get Citybus. In the end, as we know, the business has gone to Go Ahead who do have a track record of keeping some coach operations going. The Go Ahead South Coast operation has quite a sizable coach fleet, across several different subsidiary companies. If any other the big groups were ever likely to keep the citycoach divsions going it was Go-Ahead. Sorry for the lack of posting over the last few days. It has been a fraught few days: The washing mashine going bang in a big way, the subsequent emergency shopping trip to buy a new one, and then all sorts of grief getting the old one out as the plumbing had seized up, followed by the new one flooding the kitchen as the waste pipe also seemed to be blocked. Oh and the computer presented me with the blue screen of death on Saturday which took all day to sort as well! Roll on January when I can get a new PC and camera! Plymothian Transit: Citycoach back to basics? Plymothian Transit: The end for the swirls?